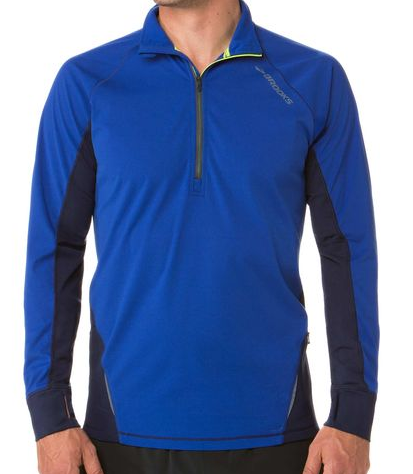 The men's Drift 1/2 Zip running top is a windproof, water-resistant road warrior. Made with DriLayer® Turbine moisture-wicking fabric it provides breathable protection no matter which way the wind blows. The notched zipper pull helps keep your headphone cord in place, while the back zippered pocket and thumb-hole cuffs add function and comfort.